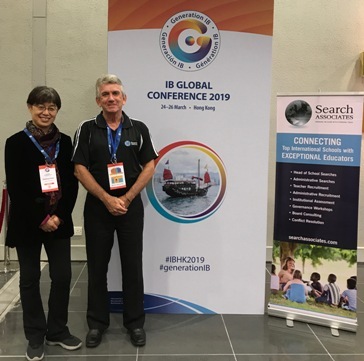 Senior Associates Ray Sparks and Xiaohang Sumner joined over 1,800 participants from around the world March 24–26 at the Global International Baccalaureate (IB) Conference in Hong Kong. Themed “Generation IB,” the conference featured three dynamic speakers. Visionary clinical psychologist Jamie Chiu has made it her mission to empower schools and teachers to support students at risk for suicide. Jamie leapt to prominence as a Forbes 30 Under 30 when she developed a video game detecting subtle markers for depression. Another keynote was Michael McQueen, trend forecaster, bestselling author, and award-winning speaker. Michael has helped some of the world’s top brands maintain their momentum during company crises. Also delighting participants was Dr. Jawahar Surisetti, eminent education and child psychologist, whose life work has been exploring the minds of youth. Dr. Surisetti has published two best-selling parenting guides and launched exemplary social enterprises as well as Think Curriculum, for which he earned an honorary doctorate from Columbia University. 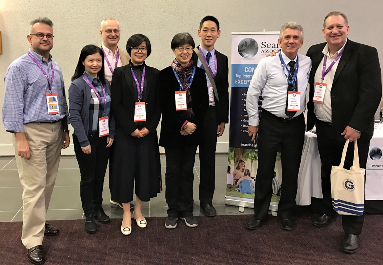 This year’s location offered a wonderful opportunity for our Associates to connect with Search Associates (SEARCH) Asian schools, especially the China schools. 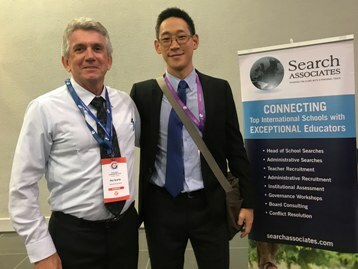 New Associate Xiaohang, able to connect with many Chinese recruiters and heads of school from the region, immediately began scheduling school visits. Ray followed up not only with newly-registered schools, but also with representatives from some SEARCH schools in Hong Kong that he had recently visited. Despite the vastness of the venue, SEARCH enjoyed great exposure as the first table in the Exhibitors’ Hall. Search Associates and Teach Away were the only two recruiting agencies among the 42 exhibitors. The SEARCH table was seldom quiet as Xiaohang and Ray spoke with recruiters continually stopping by. Many already registered with SEARCH thanked us for our support. 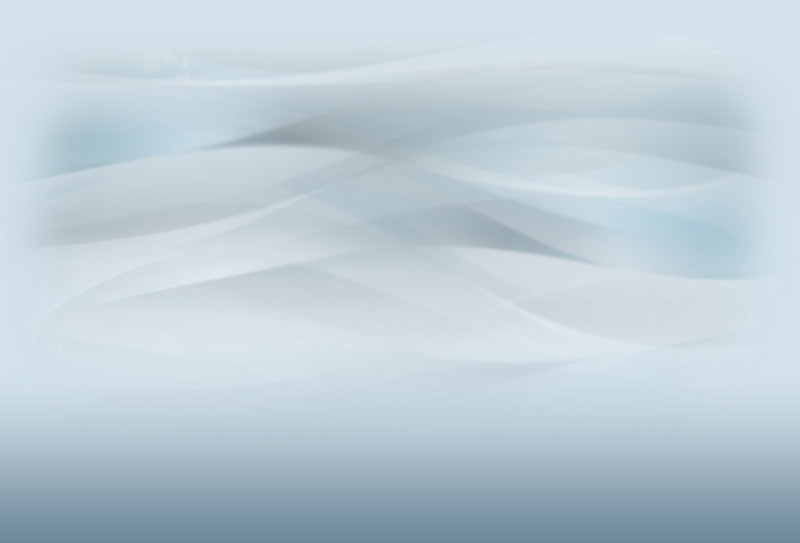 A number of other recruiters said they had heard of SEARCH by word of mouth or by our reputation as being the “number one” recruiting agency in the international recruiting world. Ray was thrilled to catch up with two candidates he had helped to place 12 and 15 years ago, who expressed how grateful they were for being involved with Search Associates. Both were placed at the Search Toronto Fair back in 2007. Julie Cook is now at the Canadian International School of Hong Kong (CDNIS), and Andrew Lin is Associate Principal at Canadian International School Vietnam (CISS). Both got their start in international teaching as a result of Search Associates. A number of other candidates visited the table to share that they, too, got their first international placement through SEARCH. Many have gone on to be administrators, heads of schools, and other leadership roles. Xiaohang and Ray also connected with other non-SEARCH IB schools from Europe, Australia, Canada, New Zealand, Korea, Japan, Norway and the U.K. that came by to chat. Many did not realize that SEARCH is more than just a recruiting agency—that we also assist schools with governance, working with boards, and doing head searches. Even though SEARCH works with over 750 international schools worldwide, there are still thousands out there that could use our help! 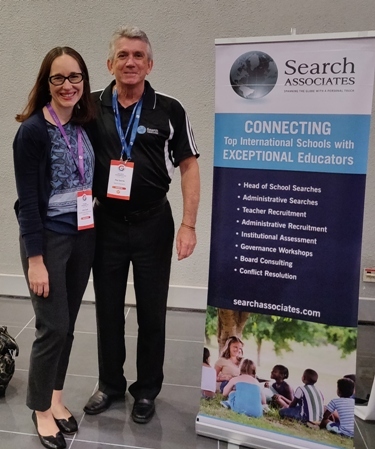 By attending the Global IB conference in particular, Search Associates could increase the chances of matching more top international schools to the finest educators in the world.